BurgA’Nomix is one of the many new burger joints to hit Adelaide. 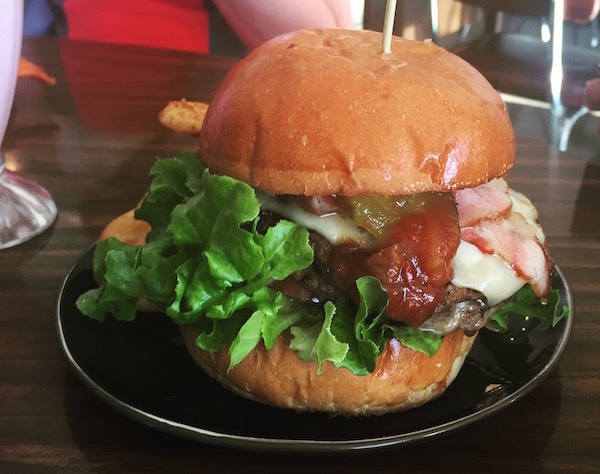 Situated in the perfect location on Colley Terrace, Glenelg – this burger joint stands out as it’s not in the typical “American Style” that's popping up everywhere at the moment. The thing that puts this burger joint above the rest is the amount of choice available. 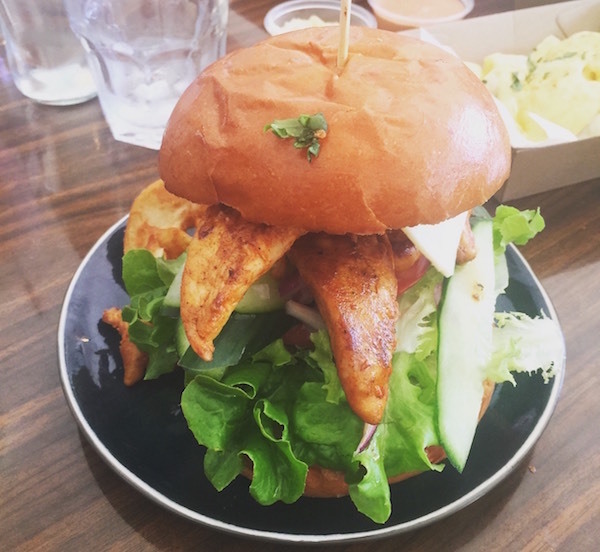 There are seafood, vego, vegan, beef, pork, chicken and steak burgers on the menu, and there are gluten free buns available that my friend, who has celiac disease, confirmed were really good and not too dense. For those who like their buns gluten-heavy there are three choices available – sesame, whole grain and brioche. Variety is the spice of life, especially when it comes to lunch! The burgers are massive and I needed a knife and fork to eat mine – you’re getting a decent sized meal for your coin, here, and the buns are big enough not to get soggy. I had the Fog Horn burger that consisted of chicken, avocado, Spanish onion, chipotle pepper sauce, Swiss cheese, tomato, lettuce and cucumber. The chicken came as strips, rather than a massive breast, which I really liked – it kept them nice and juicy. I had it on the brioche bun, which I thought was almost a bit stale or at the very least dry. 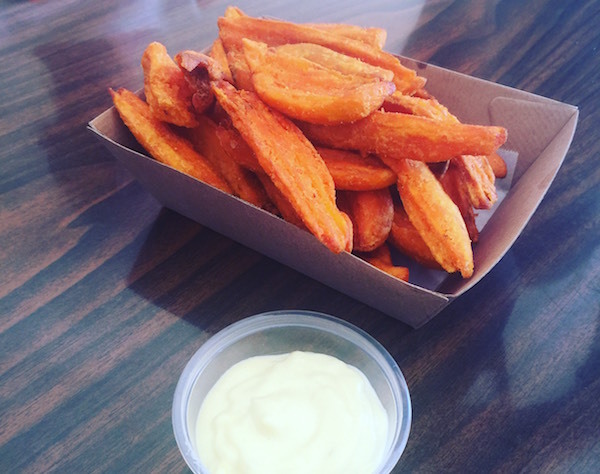 The sweet potato fries were excellent, not over cooked like so many out there. The other side I would recommend is the cheesy cauliflower with hollandaise sauce – yum! I was a bit disappointed in the chipotle pepper dipping sauce for the chips, it was hot but kind of bland and runny. I am obsessed with a good sauce to accompany my chips, but the aioli was my pick from the bunch. All in all it was a really enjoyable meal, somewhere I would head after having a swim in Glenelg to fill me up. It’s got a cute decor with some 60’s style dining tables. It suits all ages and the service was fantastic.